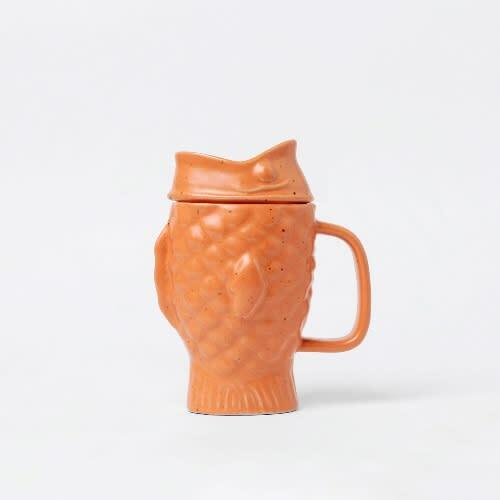 Inspired by Japanese Taiyaki cakes this Koi shaped mug features a built in tea infuser. Leave your tea leaves to brew, remove the fish's head and enjoy a freshly brewed cuppa! Size: 13.6 cm x 8 cm x 17.5 cm.